The Archie comics, in their various forms, are among some of my favourite reads as a kid. A cousin of mine got me hooked on to them and I read them whenever, wherever I could. Sadly, I didn’t read all that much, but what I do remember is that I had a ton of fun with them. Archie and the Riverdale gang are among some of my favourite all-time characters, especially because of the intense character drama involving the teenage infatuation that many of the characters have with each other. Its all light-hearted fare and I always have a stupid huge smile on my face when I think back to those days, to those reads. Fast forward to October 2013 and suddenly I hear that Archie Comics is putting out a new series with the characters and that its going to be very horror-themed. Intrigued, I picked up the first issue (review), and ended up being completely floored by it. I mean, a zombie apocalypse in Riverdale! With Jughead and Sabrina at the center of all of it. I was hooked. I wanted more. When the second issue arrived (review), I was even more impressed with what Roberto Aguirre-Sacasa and Francesco Francavilla were doing with the series. Connecting back with these characters after such a long time, and in such a way too, has proven to be one of the most exhilarating moments of 2013 and I certainly cherish them. 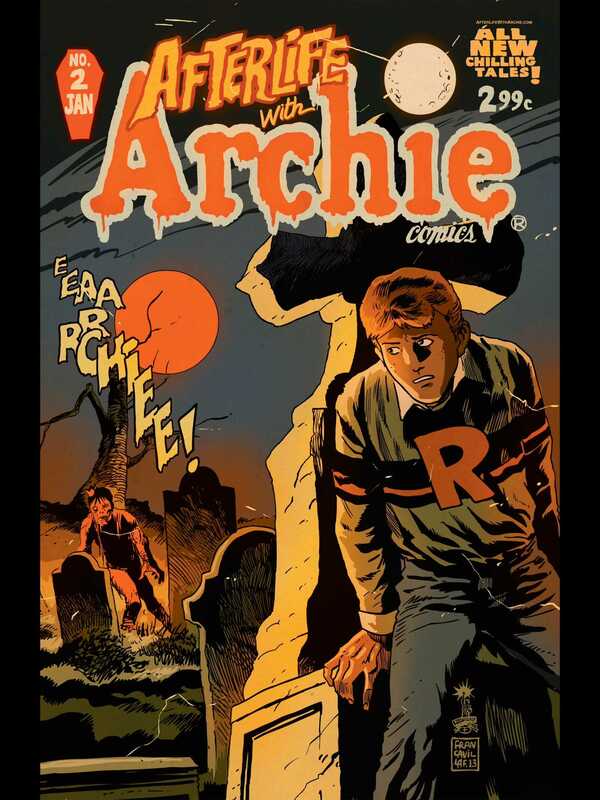 Archie, Betty, Veronica, Reggie, Moose, Ethel, Jughead, and the others are some of the most fantastic characters I’ve read, and I’m definitely going to dive back into this world, this setting and these characters very soon, all thanks to the creators of Afterlife With Archie. 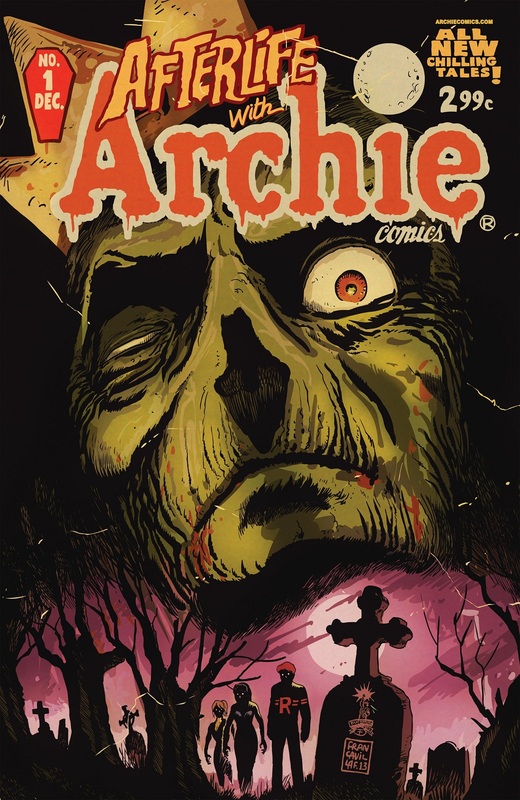 Posted on January 4, 2014, in 12 Days of Best SFF Characters of 2013, Book Lists, Comics News and tagged 12 Days of Best SFF Characters of 2013, Afterlife With Archie, Archie, Archie Comics, Book Lists, Comics, Francesco Francavilla, Horror, Jughead, magic, Riverdale, Roberto Aguirre-Sacasa, Suspense, Urban Adventure, Urban Horror, Veronica Lodge, Witches, Zombie Apocalypse, Zombies. Bookmark the permalink. Leave a comment.